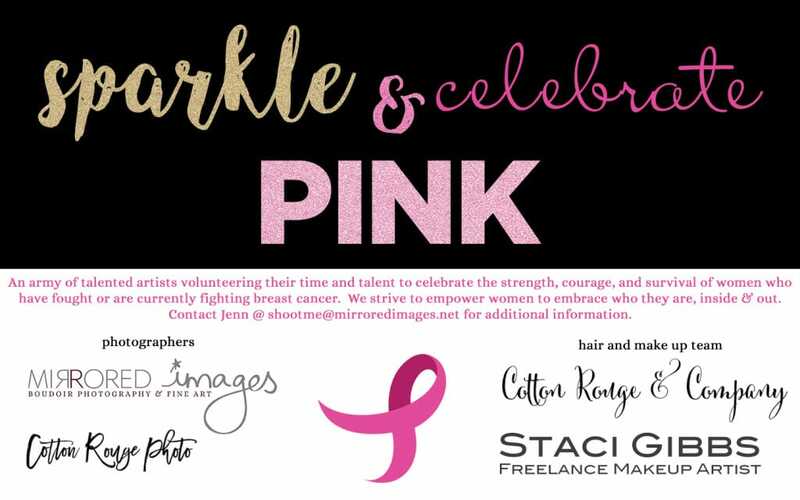 Sparkle & Celebrate PINK was created in 2017 by a group of artists who wanted to create a day of beauty and celebration for breast cancer survivors. Last year, Jenn Hyman, Katie Cotton, Staci Gibbs, and Jade Couch provided professional makeup, hair, body paint, lunch, wine and a photo shoot to 5 ladies in the Upstate SC. Click here to see the celebration! This year we held the event at Mirrored Images Boudoir studio in Gainesville GA, just north of Atlanta Georgia. 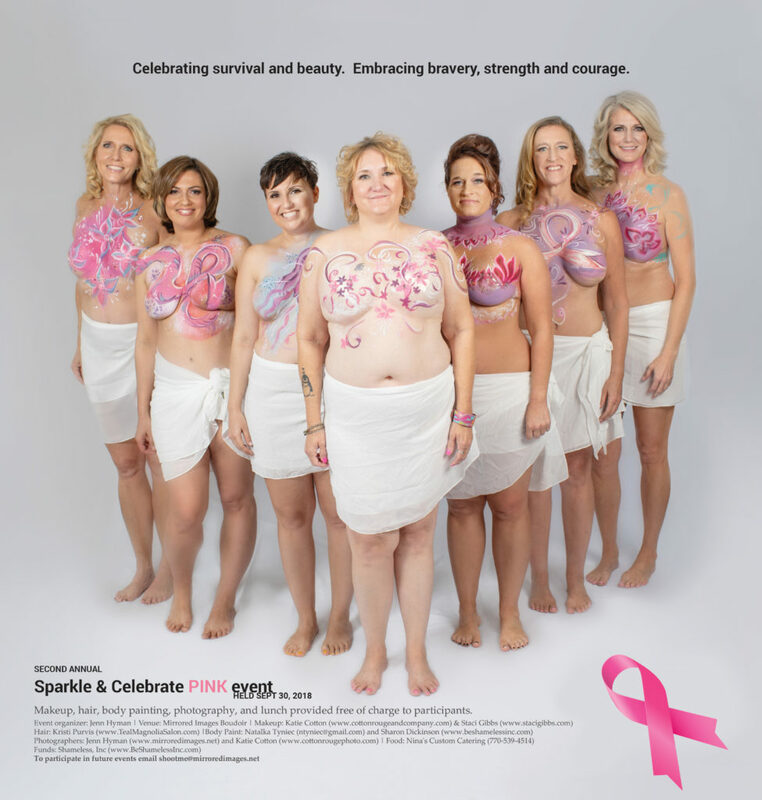 We had 7 beautiful survivors participate and even more talented artists volunteer their time and talent to the cause. Those statistics are SCARY! Imagine yourself in the shoes of a woman who was just diagnosed… not only will your body go through big changes, but emotionally you’re left to cope with this diagnosis while (usually) being rushed into a treatment plan to save your life. Depression and anxiety impact relationships and intimacy and 50% of relationships end after there’s a cancer diagnosis. We, as women, need to stand together and support each other. You ARE beautiful, you ARE strong, you CAN embrace the changes your mind and body have been through.